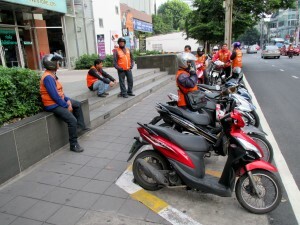 The bus station is located at Ekkamai Tai Junction on Sukhumvit Road (Klongthoey District ) in between Soi 40 and Soi 42 / opposite Soi 63. 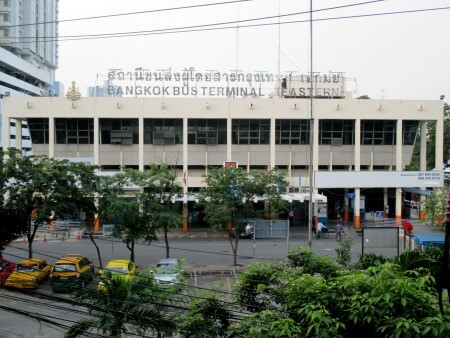 There are about 10 different bus companies operating from the Eastern Bus Terminal (29 ticket selling counters). 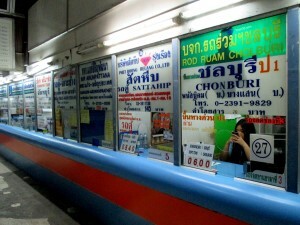 These companies sell bus or minibus tickets to the Eastern provinces. 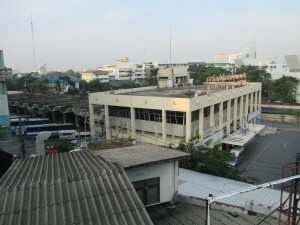 The platforms are located at the back of the main building. 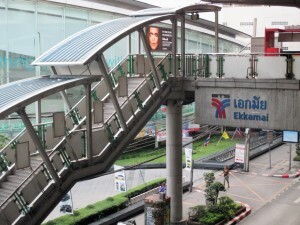 How to get to Ekamai Bus Terminal Bangkok? 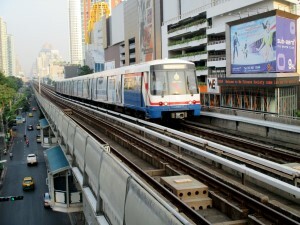 The easiest and fastest way to get to the station is by boarding a BTS Sky Train running on the Sukhumvit Line. 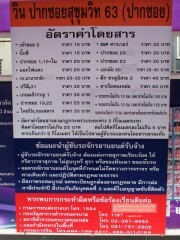 Go down at the Ekkamai BTS Station and exit on Sukhumvit Road through Exit #2. You can actually see the station from the elevated Sky Train Station as it is literally just a few metres away. 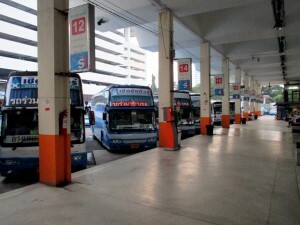 There are many city buses running on Sukhumvit Road and wherever you come from in Bangkok, you should be able to find a bus going to the Sukhumvit area. If you are travelling from Khaosan Road, Democracy Monument = Buses #2 and #511 are direct to EKK. If you are coming from Siam Square and MBK = Buses #25 and #48 go direct to EKK. 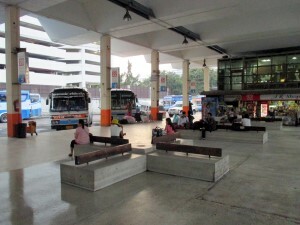 From Hua Lamphong Train Station = Buses #25, #40 and #501 are direct to EKK. 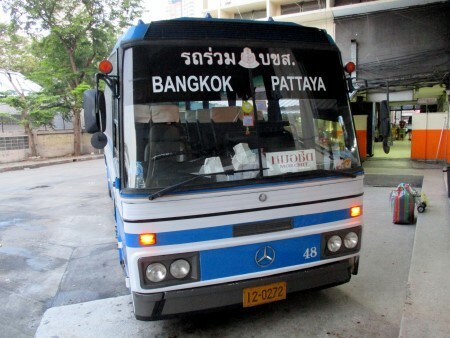 Bus #2 = Pak Klong Market, Sanam Luang, Khaosan Road, Democracy Monument, Pantip Plaza, Pratunam, Central World, Chit Lom, Ploenchit, Nana, Asok Intersection, Phrom Phong, Thong Lo, EKK, Phra Khanong, On Nut, Udomsuk Sukhumvit Intersection, Bang Na, Bearing, Imperial Samrong. 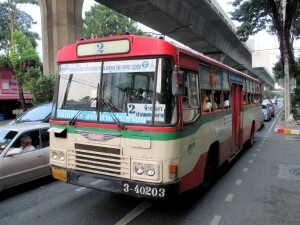 Bus #25 = Pak Nam Market, Udomsuk Sukhumvit Intersection, On Nut, Phrakhanong, Ekkamai, Thong Lo, Phrom Phong , Siam Square, Hua Lamphong, Yaowarat (Chinatown), Wat Pho, Wat Phra Kaew. Bus #511 = Sai Tai Mai Southern Bus Terminal, Central Pinklao, Pata, Phra Pinklao Bridge, Khaosan Road, Democracy Monument, Pantip Plaza, Pratunam, Central World, Chit Lom, Ploenchit, Nana, Asok Intersection, Phrom Phong, Thong Lo, EKK, Phra Khanong, On Nut, Udomsuk Sukhumvit Intersection, Bang Na, Bearing, Pak Nam Market. 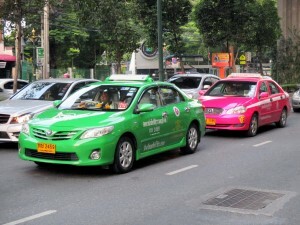 You can easily board a Taxi directly at Ekkamai Bus Station or from Sukhumvit Road. Always remember to ask the driver to turn on the meter.